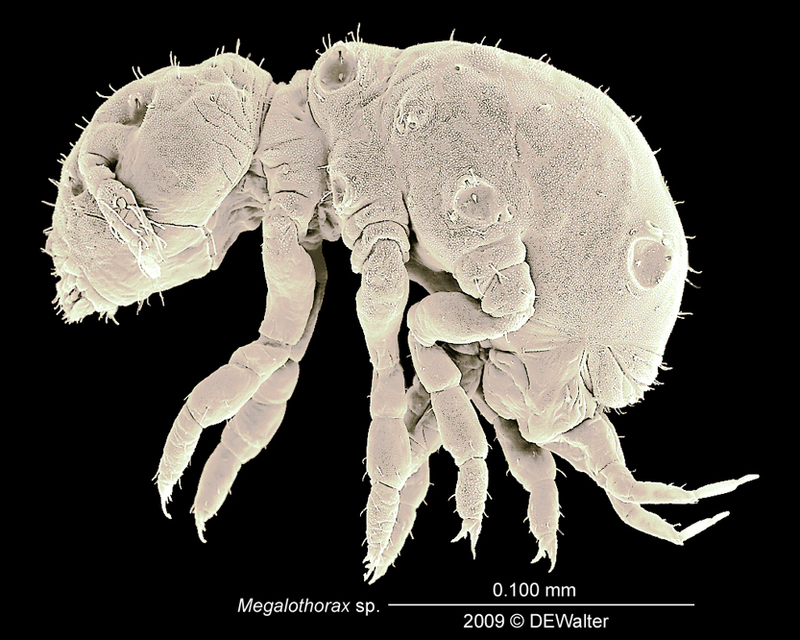 Although this blog is about mites, I’m interested in anything that is small and often ignored. Springtails in the family Neelidae fit those criteria well. I certainly ignored many thousands in my early work, because I didn’t realize the tiny white blobs in the sample were animals. Once I’d realized that some of the blobs had legs, I became interested. Steve Hopkin has an excellent illustration of just how small these animals are. This is an Australian Megalothorax (most of the microarthropods you will see here were from Queensland) and I’m not sure of the species, but it is no bigger than the one that Steve Hopkin shows. I don’t know the function of the concave depressions on the body, but I do wonder. I can’t recall anything similar in mites.